While many people agonize over their email copy and then slap a hastily written subject line on two seconds before hitting “send,” sales reps know that the situation should actually be reversed. After all, there’s no point in crafting a beautiful message if buyers don’t even open it. And what prompts the all-important open? The subject line. But with only a tiny bit of real estate to work with, there’s no room for mistakes. With this in mind, we took to Reddit’s Sales channel to round up sales email subject lines vouched for by real sales reps. Instead of reinventing the wheel with your messages, use these subject lines knowing that they’ve been tried, tested, and verified to work by reps around the world. Interested to learn why these subject lines do the trick? We’ve also included the logic behind each for your knowledge. The Reddit user who suggested this subject line says that “it gets a lot of reads from decision makers who are tired of people trying to serve their own self interests.” Demonstrating genuine concern for the email recipient is refreshing. Why it works: In a study, Ferrazi Greenlight found that reps who focused primarily on building relationships rather than generating transactions were more successful in the long run. Prioritizing the relationship from the very beginning will separate your message from the scores of other hard sales pitches. The more you can personalize your email subject line to the person at the other end of the “send” button, the better. According to Ali Powell, principle account executive at HubSpot, the secret to writing a phenomenal sales email subject line is to make it something about them — that couldn’t apply to anyone else. Why it works: People prefer personal over pretty. Consider the fact that plain text emails soundly beat beautifully designed HTML emails in a series of A/B tests. Why? They look like one-to-one messages. So even though the subject line “love that you’re in a band” doesn’t look as sophisticated as “Technology For the Future,” it’s a lot more appealing to your buyer who moonlights as a drummer and controls the tech budget purse strings for her company by day. Why it works: It’s a well-known anecdotal fact that most people prefer talking about themselves than listening to others, but we now have the science to back this up. Research from Harvard shows that when people talk about themselves, areas of the brain pertaining to motivation and reward spring into action. Curiosity didn’t just kill the cat, it also made the buyer click. This subject line is a favorite among redditors. Why it works: According to curiosity-drive theory, people find uncertainty unsettling. Conversely, clearing up areas of uncertainty is mentally satisfying. Teasing the email recipient with a “quick question” without telling them what it is prompts prospects to open your message and alleviate the ambiguity. What could it be? The prospect will have to open your email to find out. Why it works: Similar to “quick question,” this subject line plays on the buyer’s curiosity. They must either read your email … or live with the unease of not knowing what you’re offering. Smart reps know that referrals are as good as gold in sales. According to NoMoreColdCalling.com, referred prospects have a whopping 50% close rate. If you’ve been introduced to a prospect by someone they trust, make it clear in the subject line that it’s referral. Why it works: Referral sales expert Bill Cates notes that salespeople who get referred to new prospects “borrow trust” from the referral source. This means that instead of coming in cold, the relationship between the rep and the prospect automatically becomes warmer thanks to the relationship between the referred prospect and the referral source. Why it works: Think of a referral as social proof on steroids. The closer the prospect is to the referrer, the better. Generally, prospects only have visibility into their own organization while salespeople enjoy a broader vantage point that spans countless buyers and customers. One Reddit user pointed out that this subject line provides a good opening to an email containing a case study or testimonial from an organization similar to the prospects’. Why it works: Who likes to be alone? The mere fact that other people have done or are doing something is often enough to sway opinions and drive action, thanks to the bandwagon effect. According to Laurie Puhn, 94% of couples who greet each other with “Good morning!” each day report they have an “excellent” relationship. Granted, you probably don’t want to date your prospect, but you do want to forge a strong bond with them. A simple salutation might be just what the doctor ordered. Why it works: In a world where fewer and fewer people greet each other when they get into the office, a simple “good morning” is a humanizing differentiator for your email. Would a rose by any other name smell as sweet? To be honest, I really don’t care as long as you use my name in conversation. Inserting a prospect’s name into your email’s subject line emphasizes that the message is just for them. Why it works: Not only has research shown that people respond positively to hearing their names, the phenomenon of implicit egotism holds that our name-based preferences extend to the cities we choose to live in, and what occupations we pursue. This is another one from Powell’s arsenal. “Just put the full name of the person in the subject line and nothing else. I promise this works!” she writes. For example: “Jane Smith” or “John Doe.” It really doesn’t get any easier than that. Why it works: We’ve already talked about the power of referrals, which is one reason this subject line is so potent. But there’s another reason — in a sea of emails labeled with verbs and adjectives, a person’s name (and one the recipient knows well at that) stands in stark contrast. Why it works: According to Copyblogger, “A specific headline conveys more valuable information to a potential reader, which acts to draw them magnetically into the content.” Although a subject line isn’t exactly a blog post title, the principles of specificity still apply, and can help boost your open rates. For example, “Sales Training at Business Inc.” or “HR Services at Organization Y.” Whatever it is that you sell, connect it with the company you’re prospecting into for a subject line one-two punch. Why it works: Just like the prospect’s own name, buyers are also partial to the name of their company. When in doubt, personalize. Seeking an introduction to the right contact at the buyer’s organization? There’s nothing like getting right to your point in the subject line of the message. Why it works: According to sales trainer Jeff Hoffman, approaching prospects like a curious student instead of a knowledgeable expert boosts engagement. Posing a question in your subject line asking for the prospect’s help paves the way for a conversation — the point of a prospecting email. Can’t think of a great subject line? One Reddit rep endorsed using a blank subject line every once in a while. Why it works: Research from HubSpot Sales revealed that no subject line is the most powerful subject line of all. An analysis of 6.4 million emails showed that messages with a blank subject line were opened 8% more often than those with subject lines. The age of Always Be Closing is dead — to be successful, salespeople must practice Always Be Helping. Use this subject line to tell the buyer you’re eager to add value. Why it works: As soon as your prospect sees this in her inbox, she’ll wonder, Help with what? To find out, she will read your email. The well-written, personalized contents will prompt her to respond. Another commenter on the Reddit thread said messages with this title are opened at a “very high” rate. Why it works: Rather than trying to disguise the reason you’re reaching out, be honest –prospects appreciate when you don’t beat around the bush. 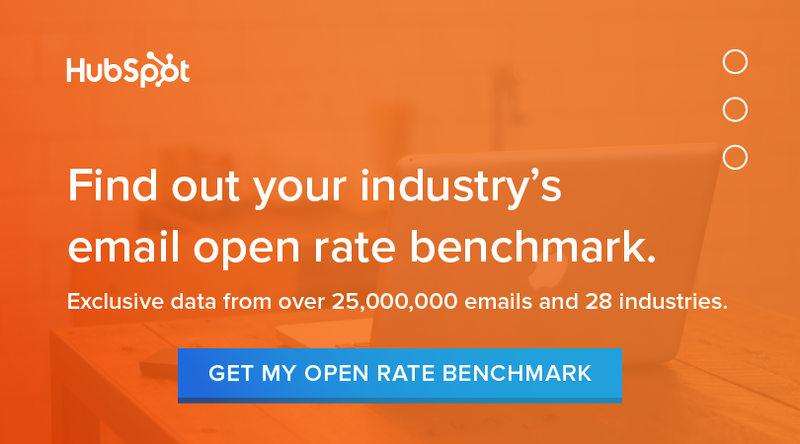 You’ll earn instant trust, not to mention differentiate yourself from less straightforward sales reps.
What’s the subject line that you swear by? Share in the comments.